The band ILL? was founded in 2001 as a 5 piece Rock-Band. During the following 8 years some 70 concerts were played with some minor changes in the lineup. 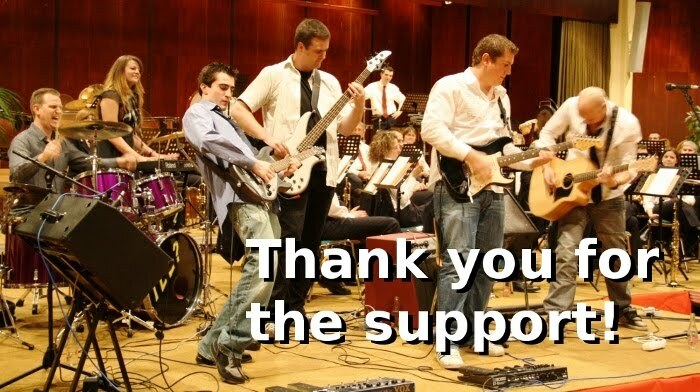 In 2005 we participated at the Emergenza band contest and we reached the finals. A recording session at a well known studio in Luxembourg was a part of the prize we won. Motivated by this great studio experience we decided to record our first album, which was released in 2007. Unfortunately the project was stopped in November 2009 due to some interest conflicts to get all 6 members in the same direction and general time problems. This websites remains online as a reminder, but will not be updated regularly as there is no band activity at the moment.